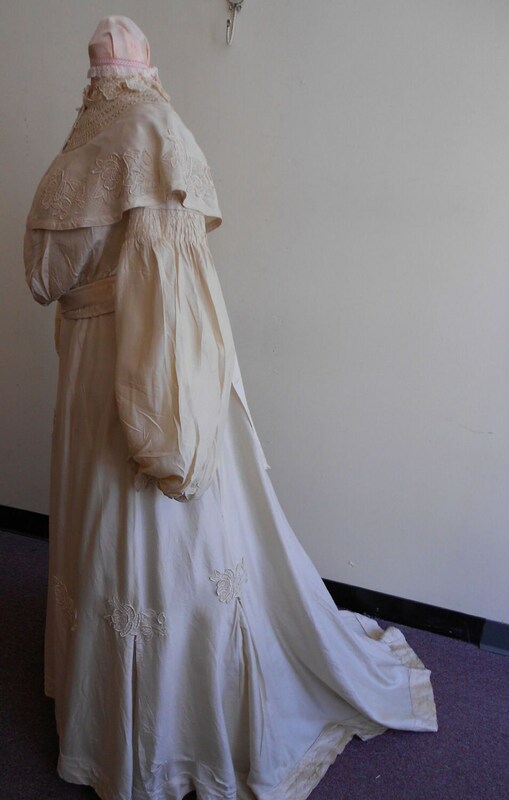 1900, 32" bust, 24" waist, two piece ecru silk day dress. 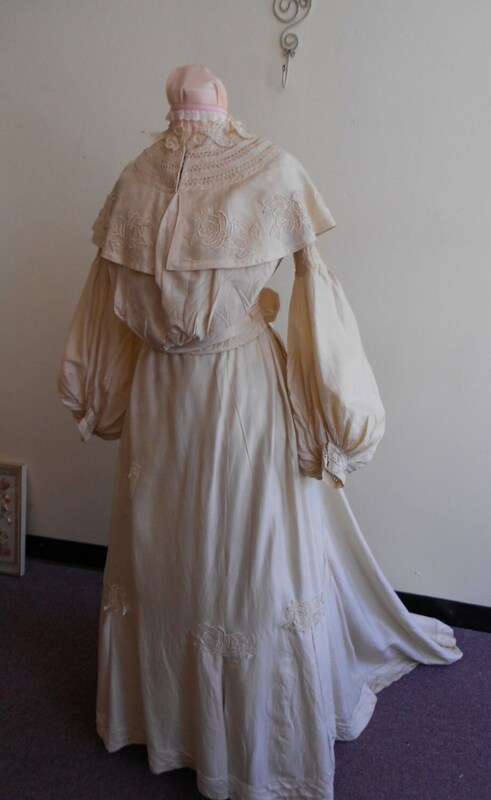 Bodice of dress is separate from the skirt, and has round embroider collar, hand crocheted yoke, embroidered appliqued shoulder peplum. 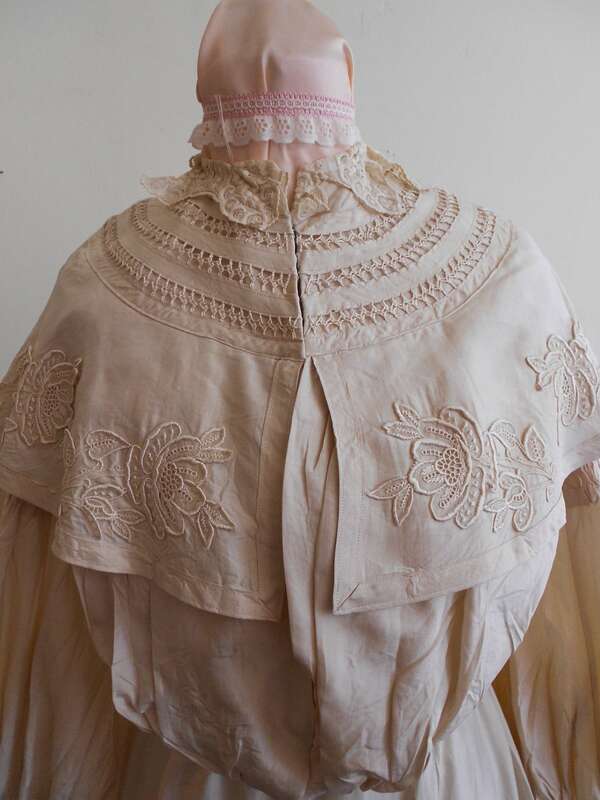 The bodice is pigeon breasted, with an under vest, both vest and outer bodice are fastened in front with rows of hooks and eyes from collar to waist. Sleeves are gigot, tight to forearm, then sleeves become full to cuffed wrist. 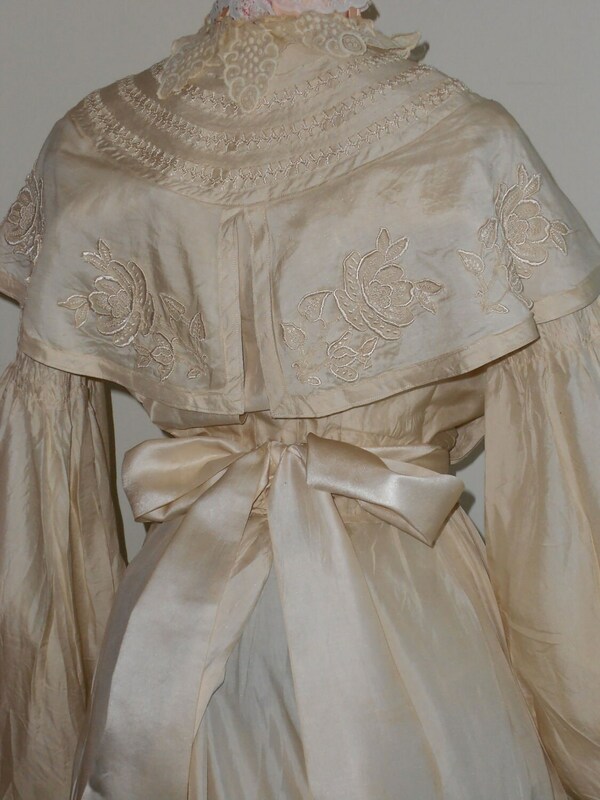 (note: the sleeves on this bodice are meant to be reminiscent of the 1830's). Skirt is trim from waist to lower thighs, then flares out at the bottom front, and trains in back cascading along the floor. Four embroidered appliques are placed at thigh level in front of skirt. waist to hem in back53"
circumference bottom of skirt 100"